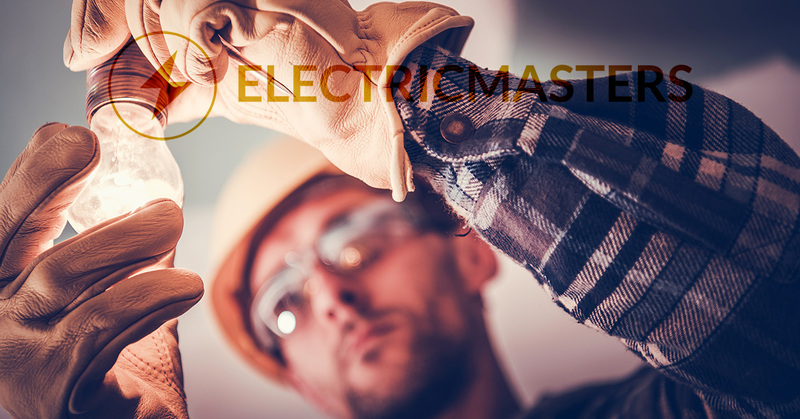 Whether you are in-market for residential electrical service, commercial electrical work, or a local electrician who is experienced in new construction projects, we’ve got you covered at Electric Masters, Cincinnati’s Top Rated Local® electrician! Now that you know which electrician in Cincinnati you should choose, you can stop reading the remainder of the blog so that you can give us a call and get your electric repair or installation issue resolved as soon as possible! Okay, okay, we understand that you probably aren’t going to just take us at our word without learning anything else about us. And that’s exactly the right way of doing things as a consumer in the modern world. You have myriad resources available to you, many of which are no more than a few clicks and swipes away! Specifically, you can find at the local electricians with the best online reviews. Though online reputation isn’t everything these days, it goes a long way toward ensuring you don’t get burned — no matter what kind of product or service you are interested in! We received this review just a few months ago. We wanted our prospective customers to understand that we go the extra mile here at Electric Masters. Not only do we put our considerable experience and industry knowledge to work from you (something not uncommon in our field), but we do our best to go above and beyond what our customers expect. This has to do with attention-to-detail, punctuality, cleanliness, and being communicative about the customer’s options. At the end of the day, we want to empower you with the information you need to make the right decision regarding electrical services in Cincinnati. Stephanie, thanks for taking the time to let others who were once in your same shoes — looking for a certified electrician in Cincinnati — know about what kind of experience and results they can expect from Electric Masters. We appreciate it! We’ve done enough talking about our own qualities (for now), for we have a promised blog topic to get to! As the title of today’s blog already conveyed, we’ll be discussing how to choose an electrician in Cincinnati! Well, we should add a caveat to that, before we get started. We’ll provide some practical tips about choosing the right electrician in Cincinnati and beyond. We’ve got Cincinnati and Northern Kentucky pretty much covered already. While it might sound strange at first, many of us forget just how dangerous working with electricity can be. That’s why you should never try to fix an electrical issue on your own — there’s plenty that can go wrong and the stakes are high! But just the same, you shouldn’t ever trust an electrician who isn’t certified. While not every local electrician is going to be able to boast the same amount of experience that we have (20+ years), it’s a good idea to make sure the electrician you are considering is licensed and certified. We spoke about online reviews a bit earlier, but there is no better objective authority out there than the Better Business Bureau. And while every company is going to have a mistake from time to time, (some customers are looking for things to complain about and simply want to pick a fight), the BBB will reveal exactly what kind of contractor you are dealing with. For the record, as of 1/30/2019, Electric Masters has a BBB rating of A+. Arriving on time and prepared is one thing, but being prompt when your house has lost power? That’s something else altogether! Quality electricians understand they need to provide expedited, efficient services if they are going to make it in this industry. When our customers need us most, that’s when we’ll be there. Well, we can’t speak for every electrician out there. But we can speak for ourselves when we offer emergency electrician services — just call (513) 268-6384! What’s more, we offer services calls for just $59! Call us 24/7, and we’ll do our best to be at your door as soon as we can! This might be the most important point we can emphasize. While most people know to look online for a few reviews before committing to a contractor, not everyone will pay specific attention to how the company interacts with you on the phone. That said, it’s a flag with a pretty glaring shade of red when the electrician you’ve contracted is defensive or doesn’t have time for your questions. If they are combative, that’s even worth. What’s more, the electrician you have in mind should be open and upfront about pricing. It’s a tell-tale sign of a bad electrician if they aren’t interested in speaking with you about your problem just because you might not be able to pay for the electrical service required at that time. Make sure you protect yourself by paying attention to how you are treated throughout the process. Unfortunately, most folks don’t realize they’ve hired a jerk until it’s too late! Do yourself a favor and look for the clues, early and often. We hope you’ve enjoyed today’s post as much as you’ve found it practical! Contact us today to schedule your appointment. We’d love to hear from you and make sure you get the reliable electrical services you need!